Unlike remodeling projects, home energy upgrade benefits are generally not immediately visible to the casual observer. Strategies that demonstrate tangible benefits from upgrades can help increase understanding and motivation with potential customers. To help energy efficiency become real, some programs successfully used house parties and demonstration homes to show potential customers what a home energy assessment or upgrade entails. In some cases, the hosts of these events were interested or satisfied customers who invited friends and neighbors, allowing the program to leverage word-of-mouth marketing from trusted sources. Program staff and a contractor were typically present to walk the attendees through a home energy assessment of the house or, when showing an upgraded home, point out the home performance measures that were installed. During a one-year "house party" initiative, Energy Impact Illinois worked with trusted neighborhood champions to host more than 650 house parties, which enabled more than 3,000 Chicago homeowners, neighbors, and friends to see for themselves what energy efficiency upgrades can mean to a home. Each gathering included a real-time energy assessment demonstration on the homeowner’s home, and the opportunity for attendees to sign up for their own assessment or upgrade. Program administrators estimated that more than 900 house party participants completed upgrades. 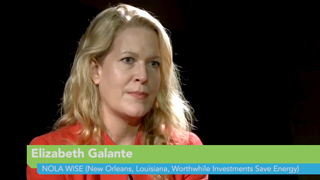 Learn more in the Focus Series interview with Energy Impact Illinois. 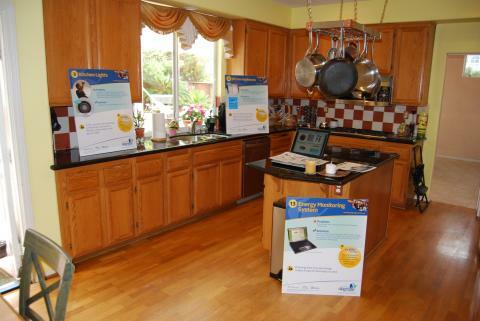 The California Center for Sustainable Energy, which manages a residential energy efficiency program in San Diego, partnered with municipalities to conduct demonstration home tours, which successfully promoted both energy assessments and the contractors who performed them. During the tours, neighbors heard testimonials from demonstration homeowners, took a firsthand look at contractors' work, asked questions of the contractors who installed the upgrades, learned about available incentives, and had an opportunity to sign up for an energy assessment of their own home. Between January 28 (when the initiative formally launched) and April 21, 2012, about 25% of the home tour participants signed up for a home energy assessment with a contractor. NOLA WISE (New Orleans, Louisiana, Worthwhile Investments Save Energy) generated its highest number of high-quality leads through its Homeowner Showcases. NOLA WISE organized and promoted the open house events, which were hosted by homeowners who completed home energy upgrades. The NOLA Wise team and contractors were present to highlight the completed home energy upgrades and educate attendees on how to make their own homes more comfortable and energy efficient. The program saw an uptick in home energy assessment requests in neighborhoods where these events were held.